I walked in to door totally rambling about something not important and stopped in mid sentence and smiled. :) Gerber Daisies on the table. The table was set for two! For Lunch we had Sausage, Hash browns and French Toast (With HOMEMADE syrup!) It was the best Lunch Ever! It's great to have someone who takes such good care of me! You don't have to worry Mom and Dad, I am in good hands! Yay Drew! Thanks for taking such good care of our little Ashley:) Your apartment looks fabulous! Our first one was quite the dump,good apt. picking! Cute! I love you two! You are so adorable! 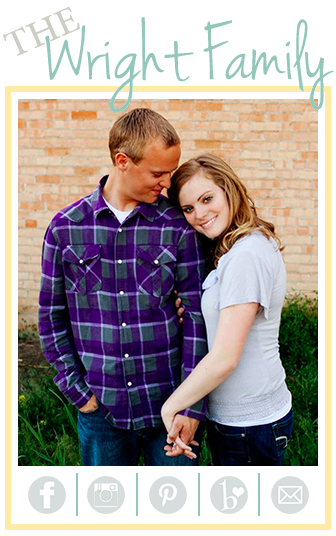 Thats so sweet :) glad you're both loving marriage! That makes me hungry. I hope this behavior lasts. It was fun being on cloud 9 when we first got married. We still are on cloud 9 in a lot of things, but now if I say I want french toast, he'll say "Sounds great, I'll take some too." haha. But marriage is the best! And Drew is sooo nice. I hope you're feeling 100 percent better.